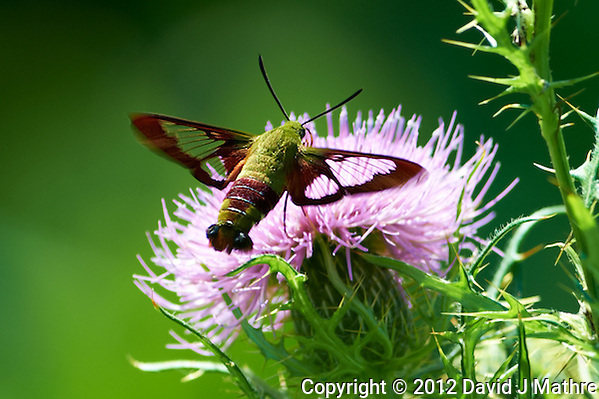 Clearwing Hummingbird Moth. I went for a walk at the Sourland Mountain Preserve today. 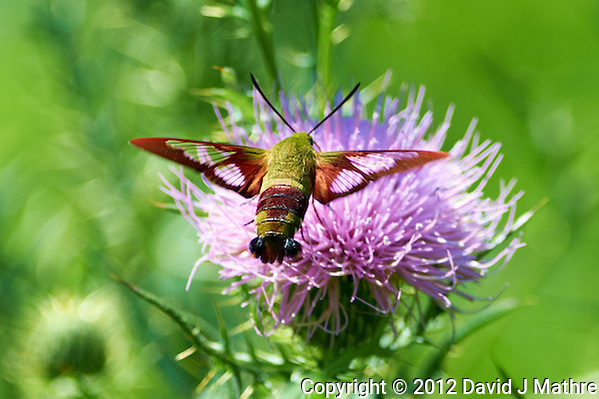 I was looking to see if the thistles are now in bloom. 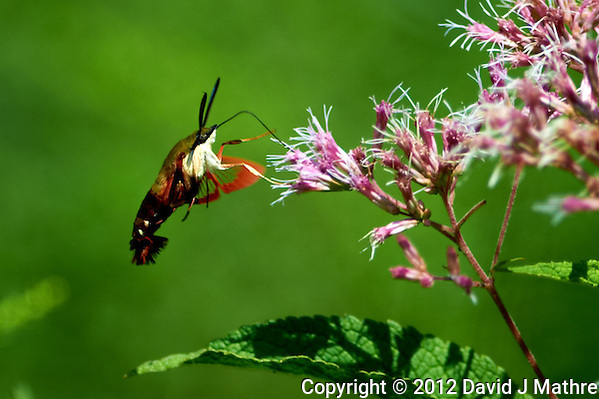 I first noticed a Clearwing Hummingbird moth at a Joe Pye weed bloom. Further up the trail, I did find that the thistles are now in bloom. 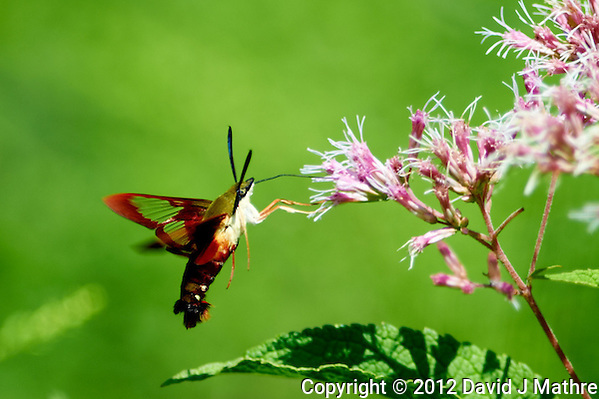 I saw many Monarch and Tiger Swallowtail butterflies — then more Clearwing Hummingbird Moths. If the weather is good, I will go back tomorrow with a bigger lens and full tripod.